The 2015 financial year hasn’t past yet, but proMX GmbH has already won several significant awards to add to their list of accolades. During the Microsoft Worldwide Partner Conference, which took place this July in Orlando, Florida, it was announced that proMX GmbH was accepted as one of the Microsoft Dynamics Inner Circle 2015 members. The best performing Microsoft partners from all over the world, which delivered the best results and achieved the highest sales revenue over the financial year, join this annually-renewed group of prestigious companies. Being a long-time Microsoft partner, proMX GmbH constantly strives to provide customers with high quality consulting services for all the Microsoft Dynamics CRM updates. This year’s membership into the renowned Microsoft Dynamics Inner Circle inspires us to work in a partnership-focused approach and to repeat the success next year. The Microsoft Worldwide Partner Conference 2015 brought proMX GmbH another significant award. Our company was announced as Partner of the Year – Microsoft Dynamics Reseller 2015 – Germany and is now one of the top 1% Microsoft Dynamics Partners worldwide. 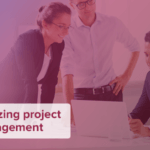 Along with two other nominated German companies, proMX GmbH reached the finals and was announced as the most successful partner company for professionally delivered consultancy services. Implementation of mobile-first, cloud-first strategy as well as development of the Repeatable Business approach are currently of prime importance for Microsoft. During Microsoft conferences of the past year, Satya Nadella emphasized the priority of these concepts. Being a dedicated Microsoft partner, we follow the Microsoft strategy and contribute to the realization of company’s main goals. We are proud of the acknowledgement we received from Microsoft and will continue to follow their lead to success. At the EMEA Partner Operations Conference 2015, which took place in March in Dublin, proMX GmbH received the Microsoft Online Service Advisor Excellence Award 2014, for which our company was nominated for the first time. The conference was organized by the Microsoft EMEA Operations Centre – one of the four divisions that are currently operating in Dublin. Cloud-based technologies enjoy a steadily growing popularity among CRM users. Being one of the leading CRM solutions suppliers, Microsoft provides its customers with Microsoft Dynamics CRM Online, which enables a smooth transition to cloud technologies. 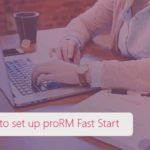 Consulting clients on this system, proMX GmbH utilizes its signature product, proRM Business Solutions, which is also available in cloud format and is a fully compatible extension for Microsoft Dynamics CRM Online. Thanks to unwavering commitment and a forward-thinking outlook, proMX GmbH has proven to be the best Microsoft-Online-Service-Advisor of 2014. At the annual 2015 Microsoft Worldwide Partner Conference, which took place from July 12-16 in Orlando, proMX GmbH updated its status and supplemented the titles collection. 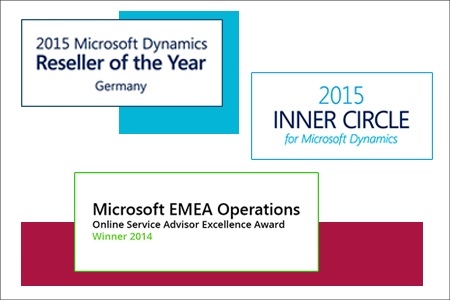 This year, our company became a member of the 2015 Microsoft Dynamics Inner Circle. Additionally, proMX GmbH won the Partner of the Year – Microsoft Dynamics Reseller 2015 – Germany.